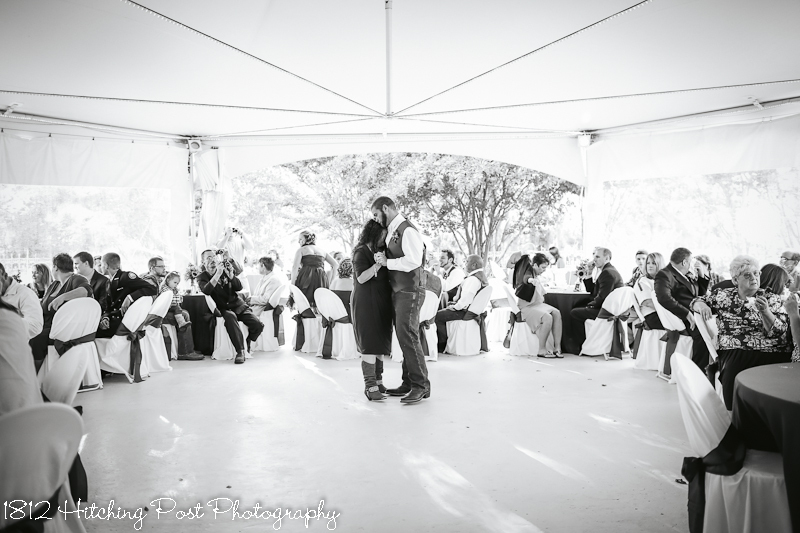 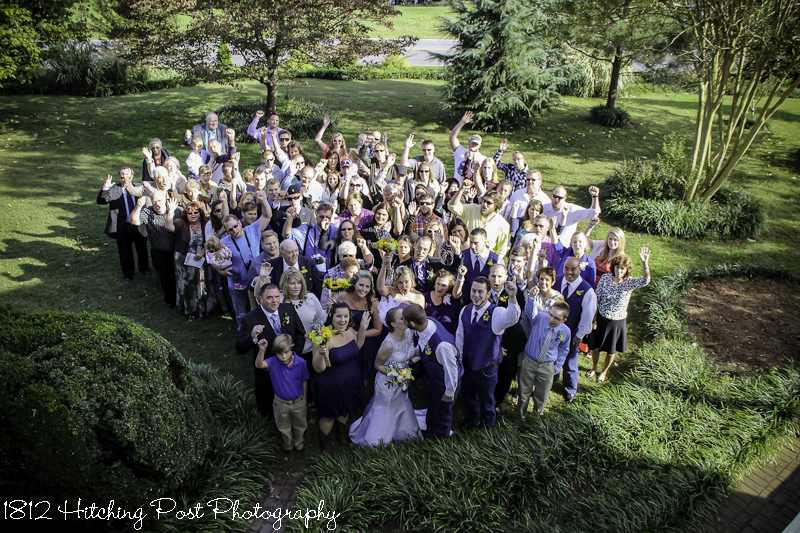 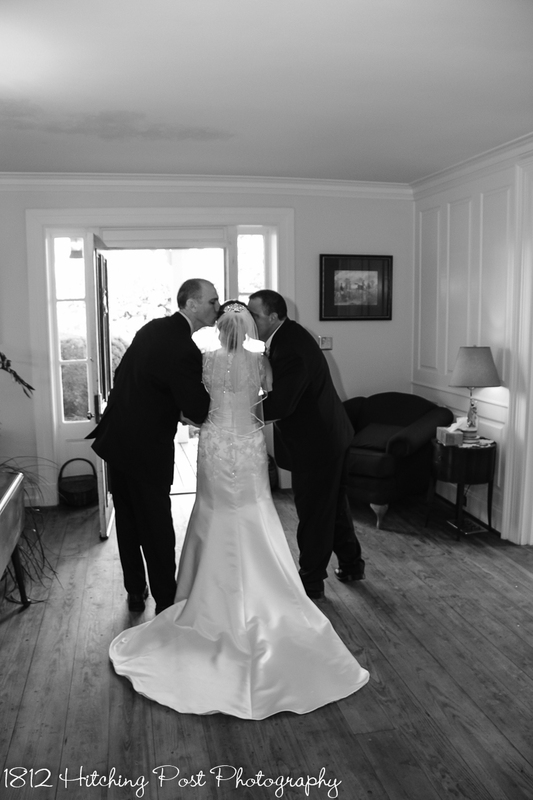 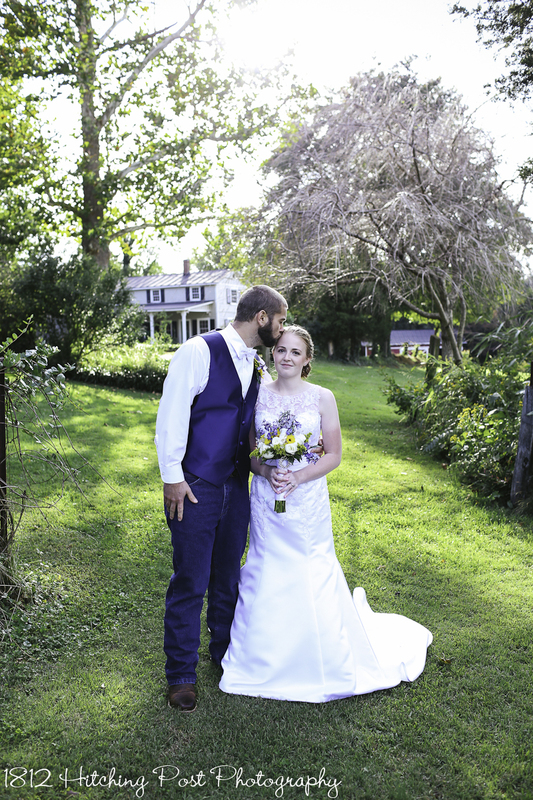 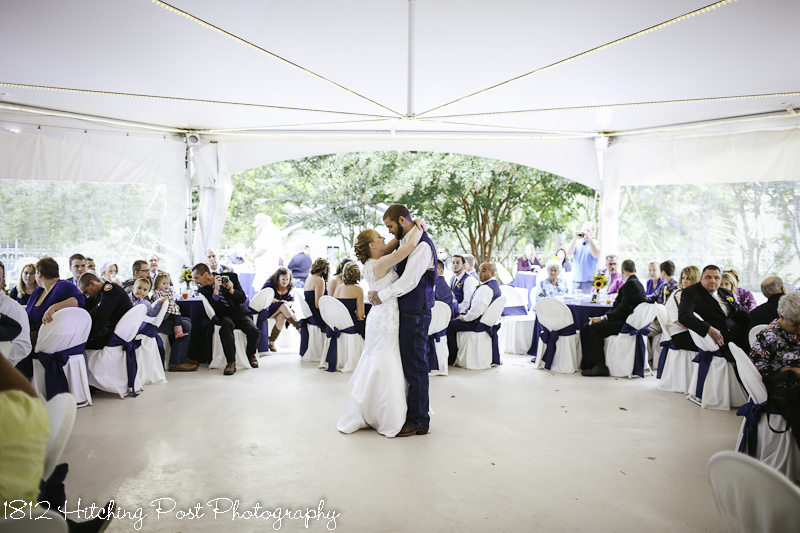 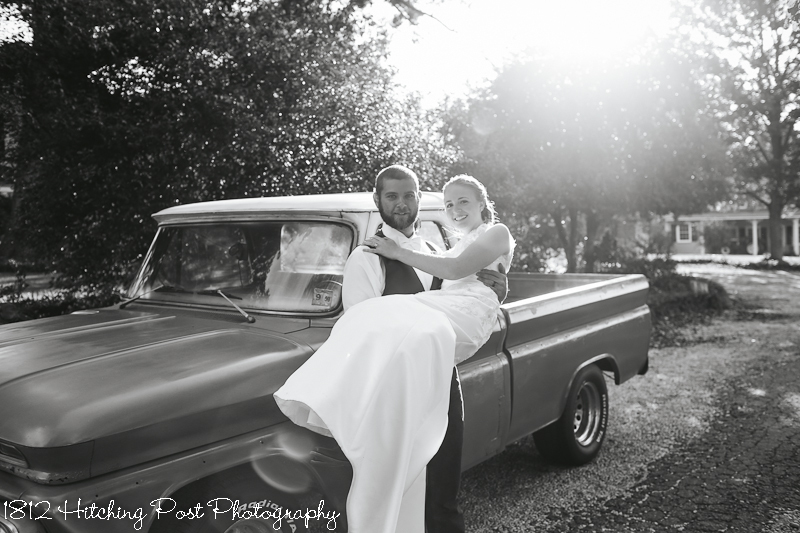 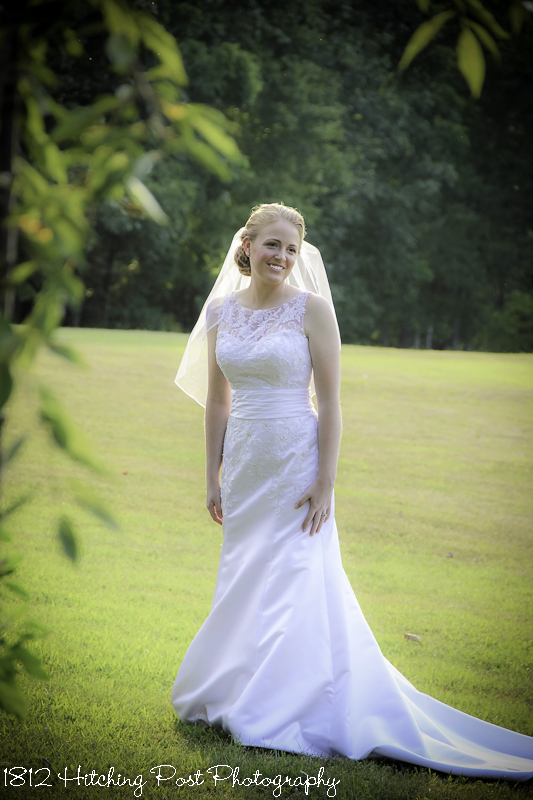 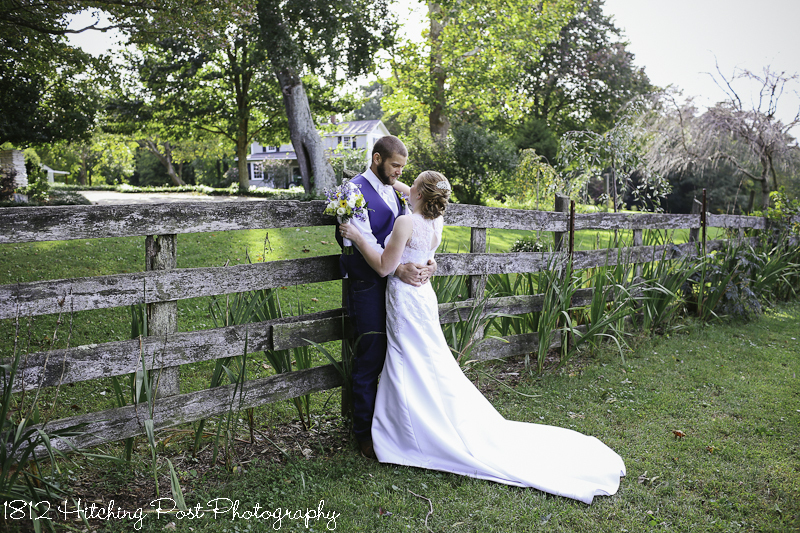 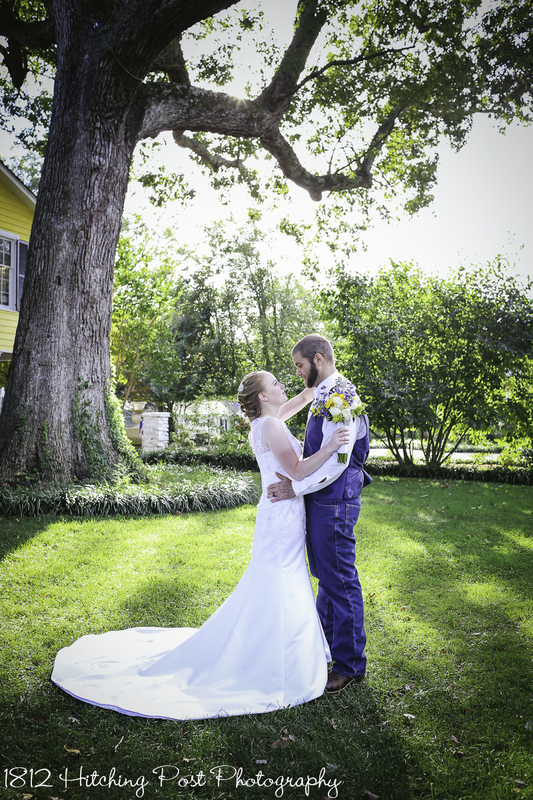 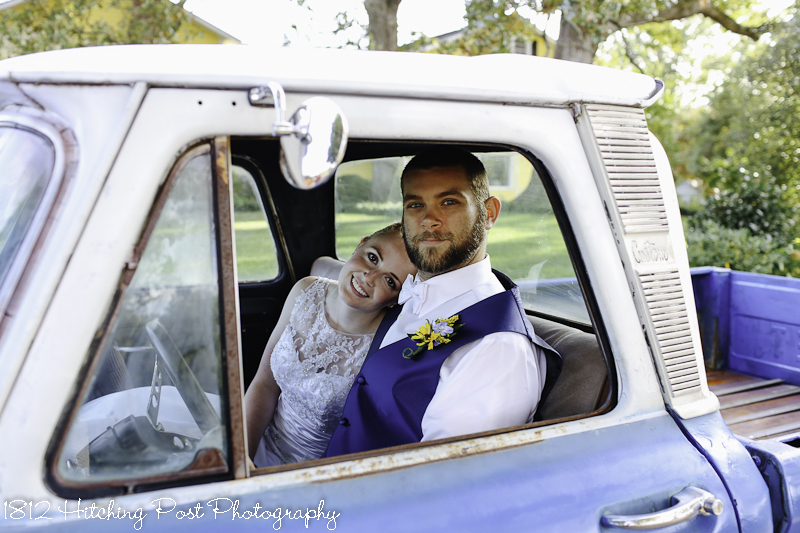 I ran into Katie and Michael on Sunday morning and it brought back memories of their wedding that I wanted to share! 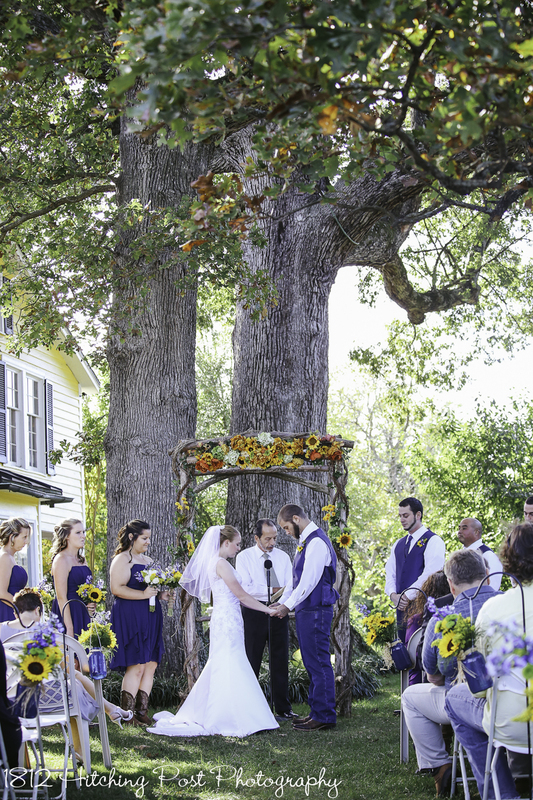 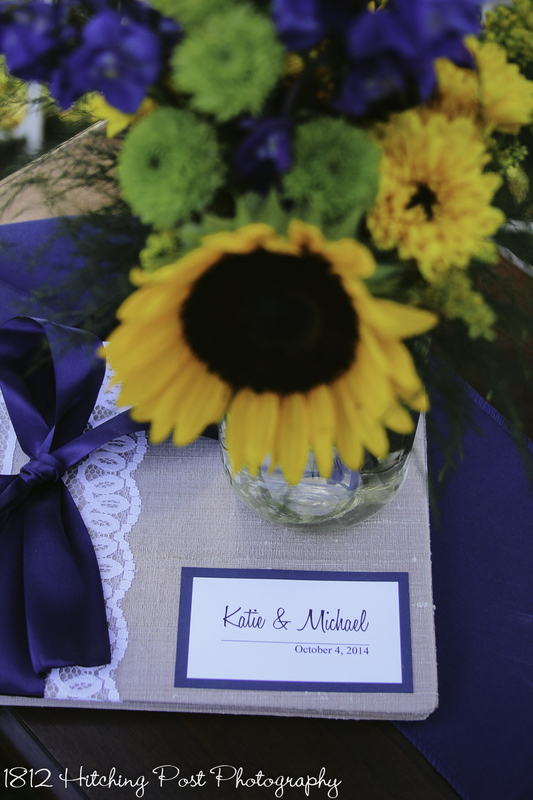 Katie planned a beautiful wedding. 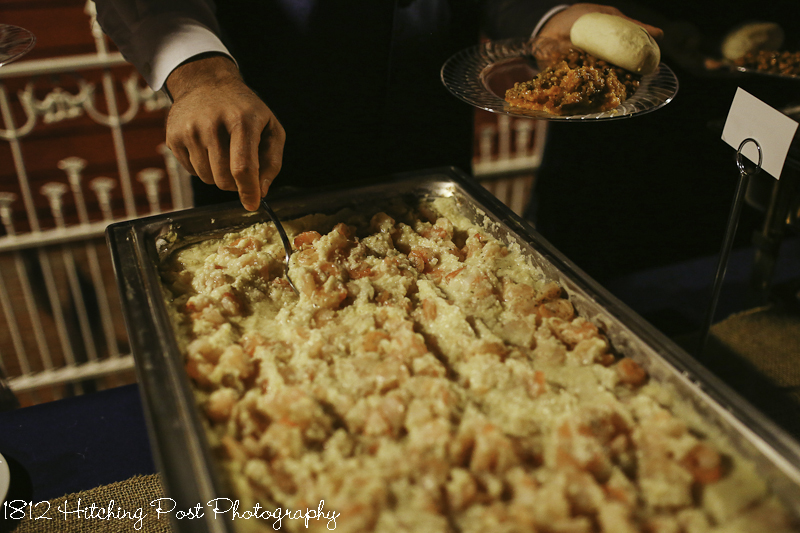 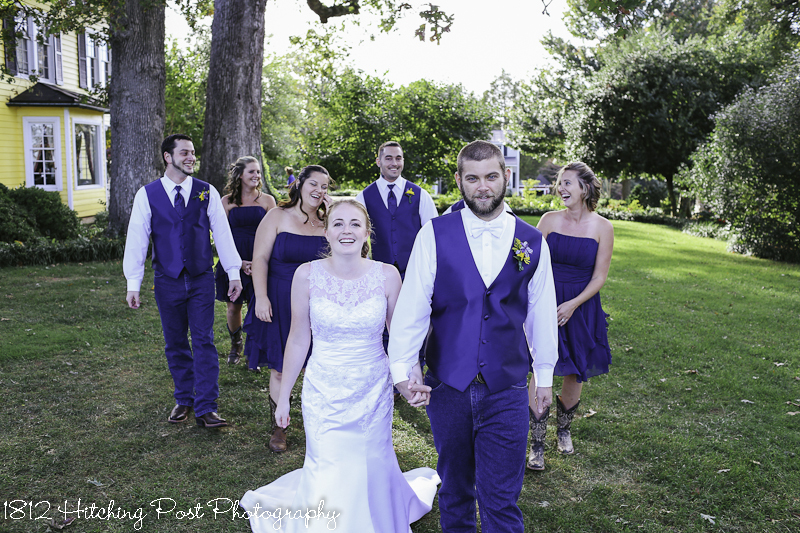 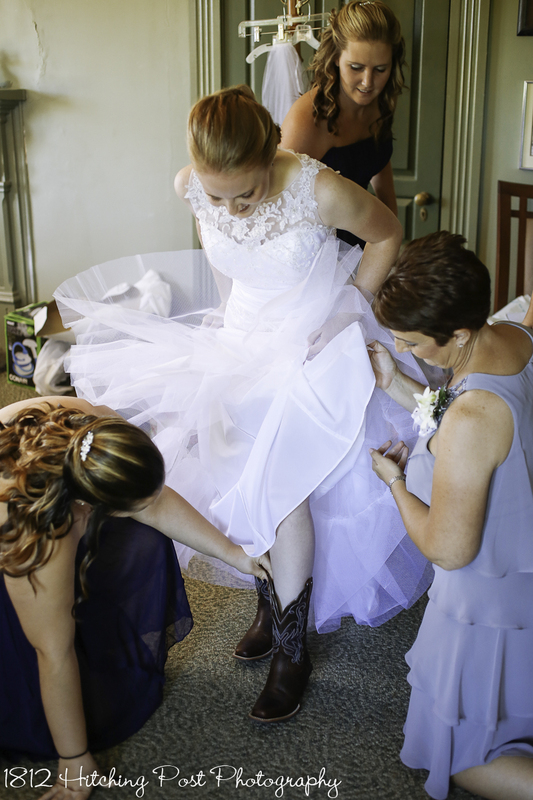 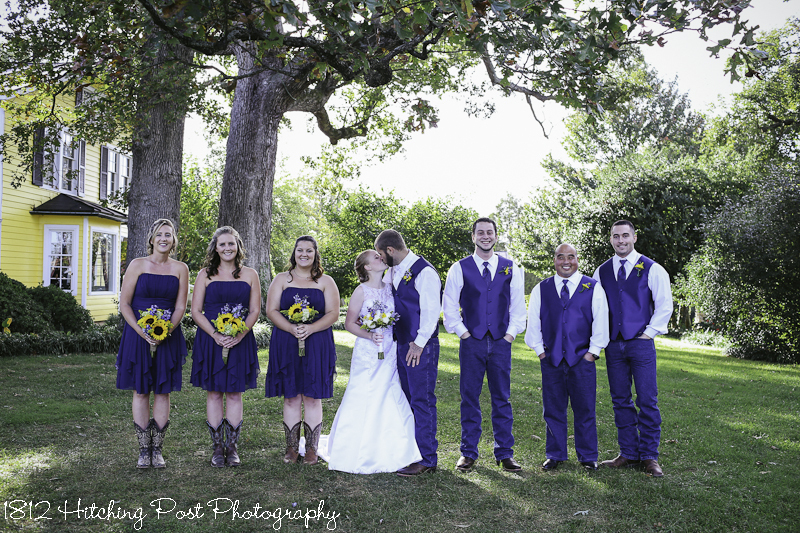 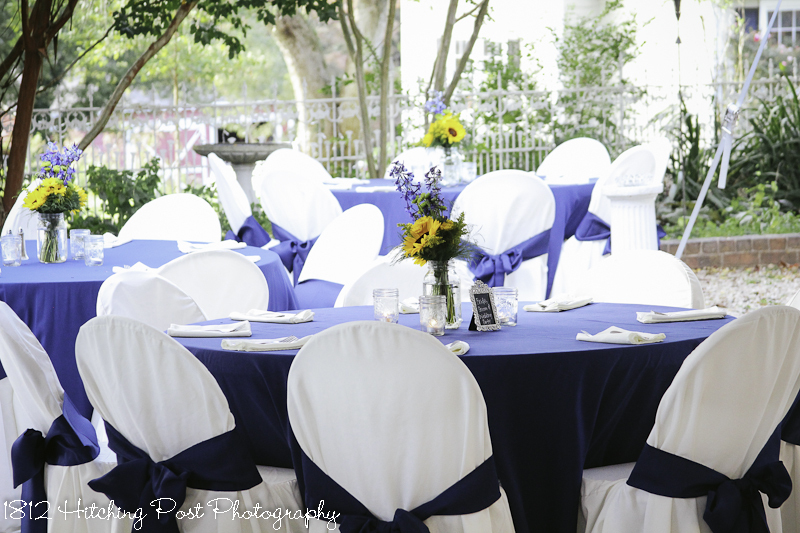 The bridesmaids were in navy dresses with cowboy boots and the groomsmen had navy vests and jeans. 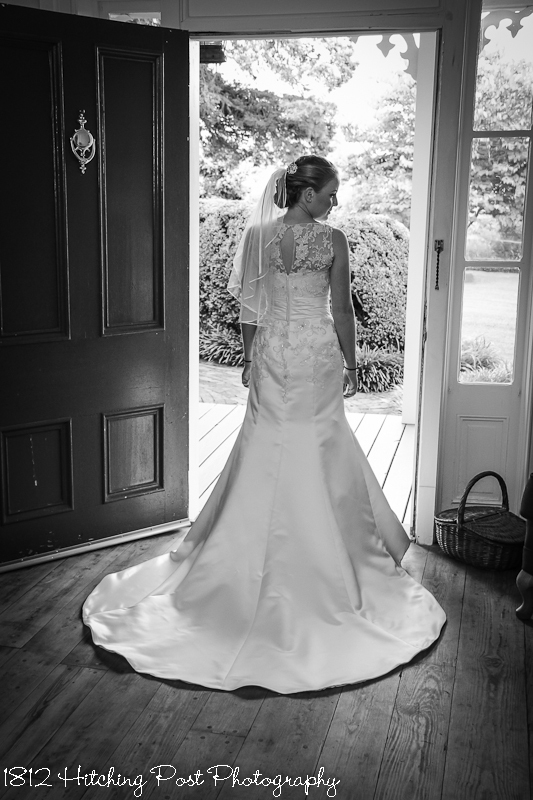 Katie’s dress was gorgeous and perfect for her. 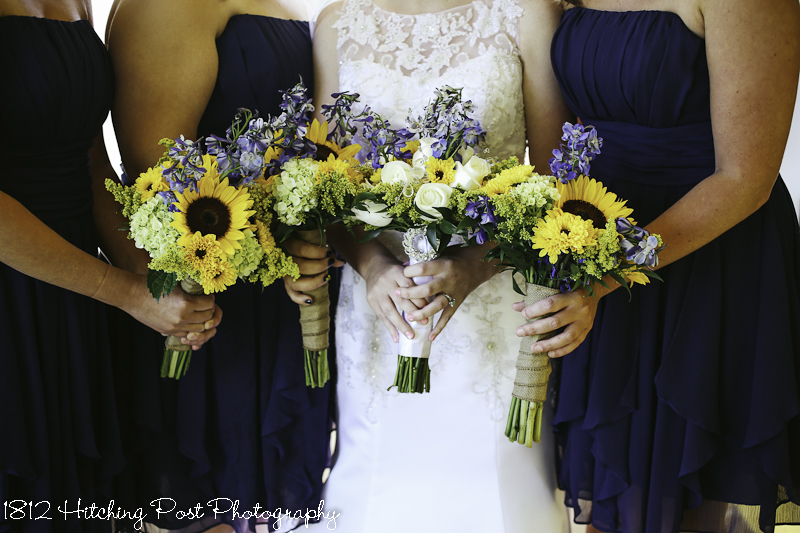 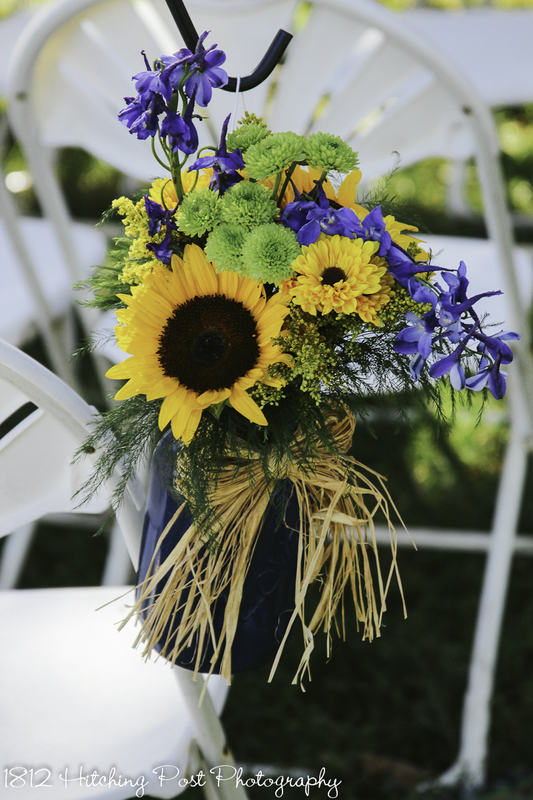 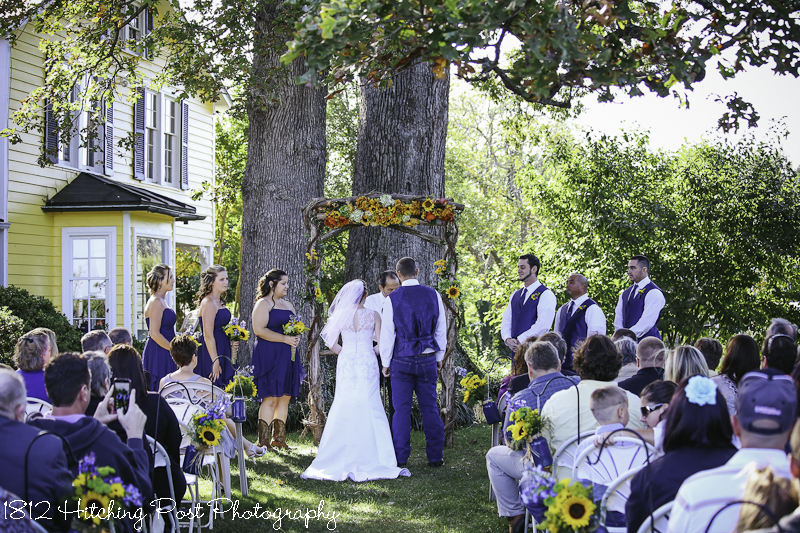 The flowers were a gorgeous mix of sunflowers and blues. 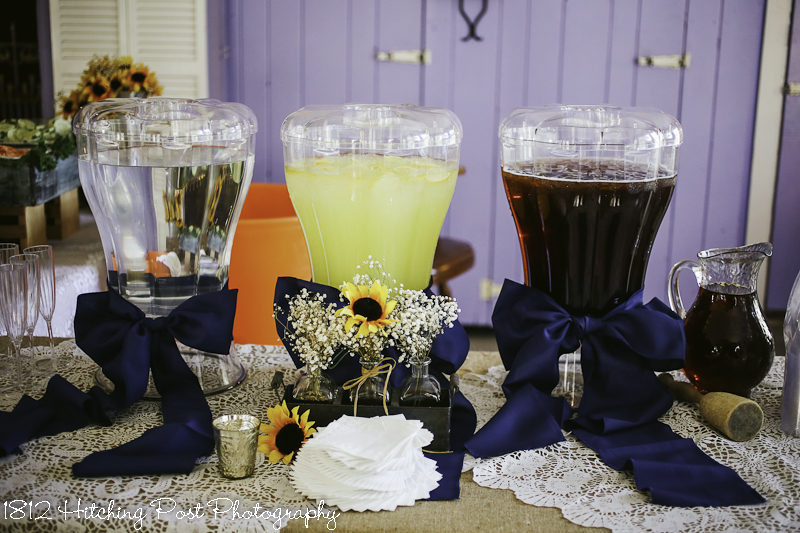 Blue raffia trimmed mason jars lined the aisle with live flowers to match the bride’s bouquet. 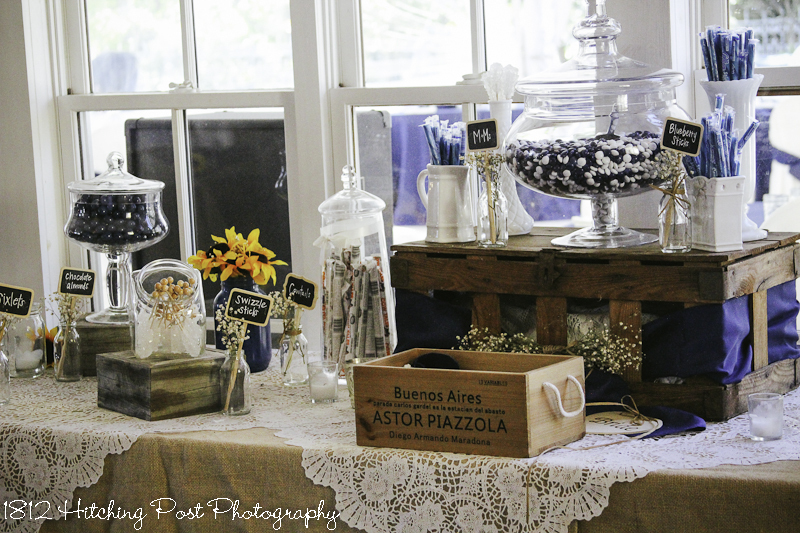 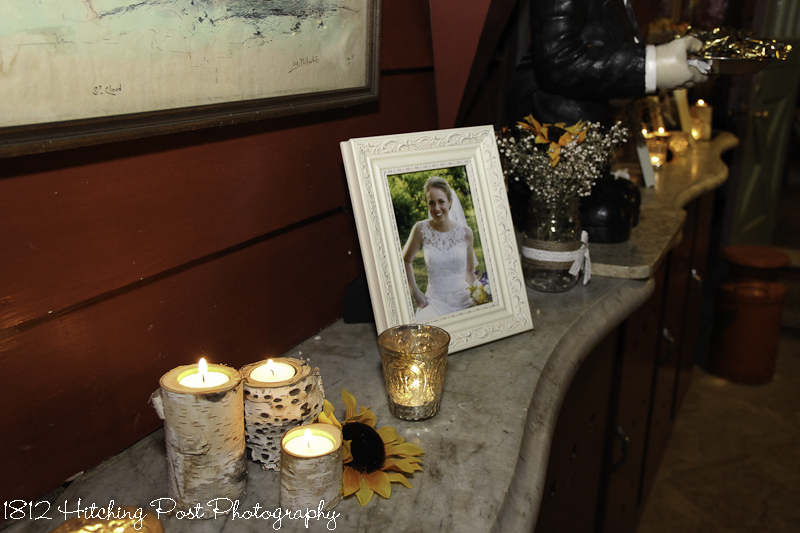 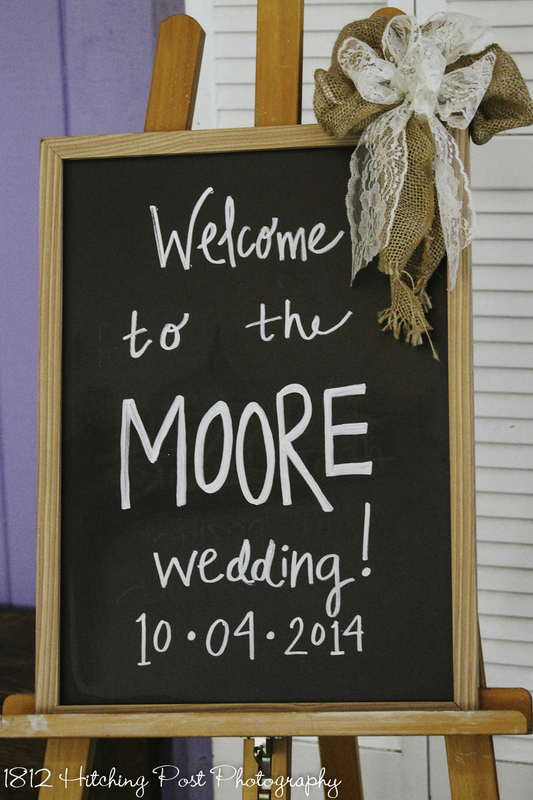 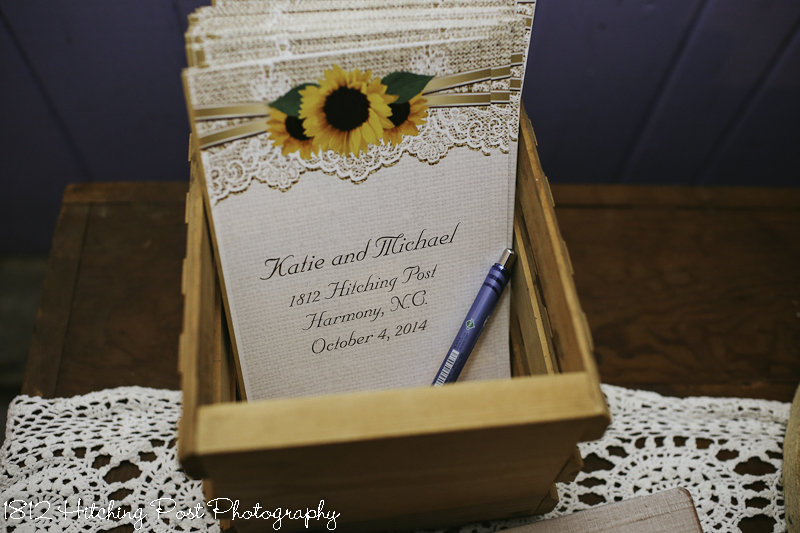 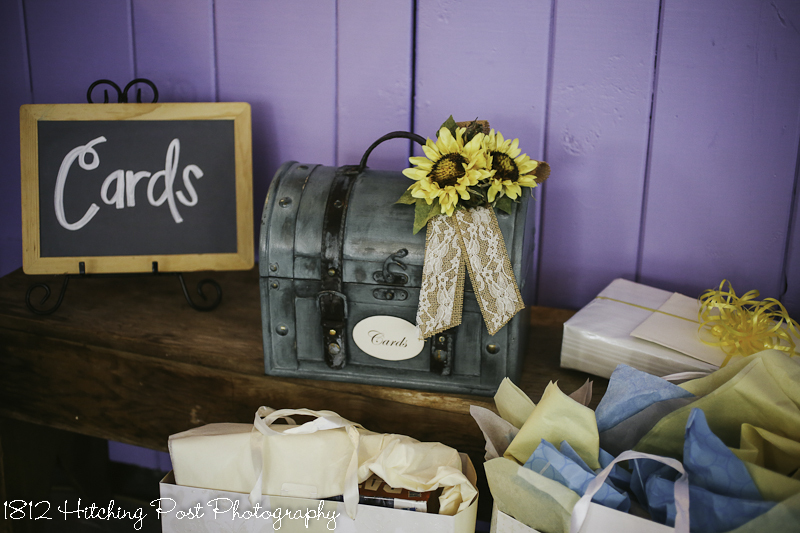 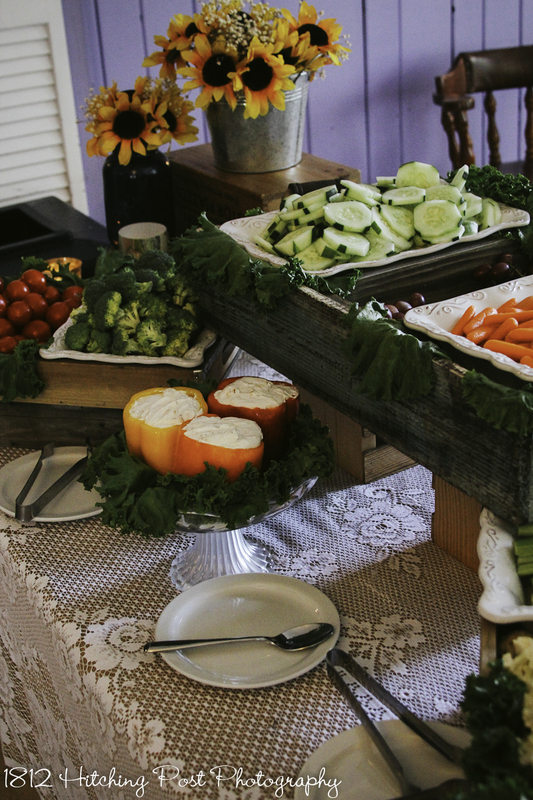 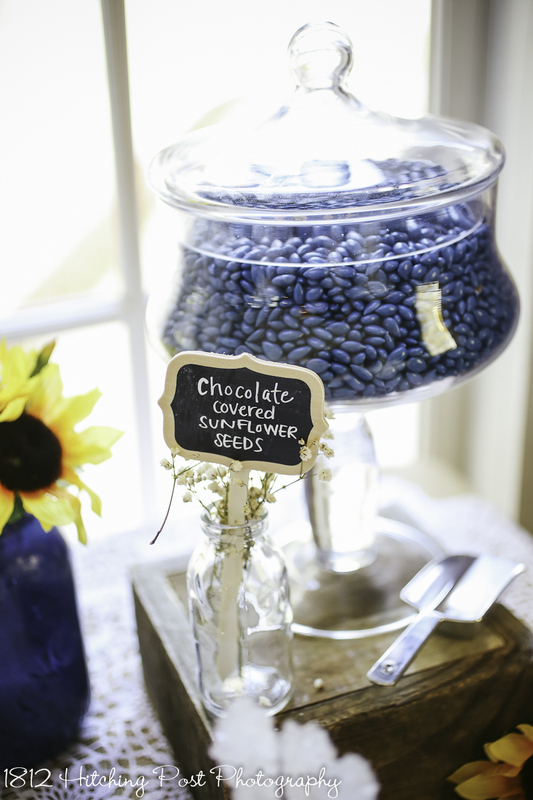 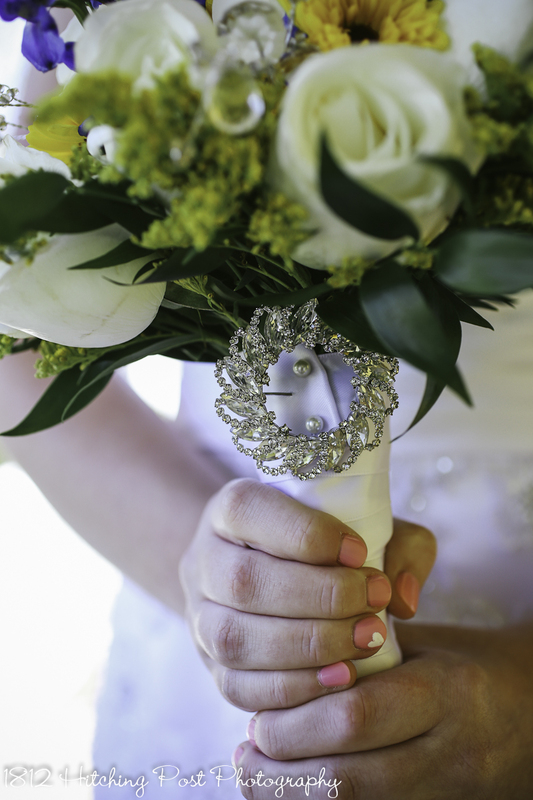 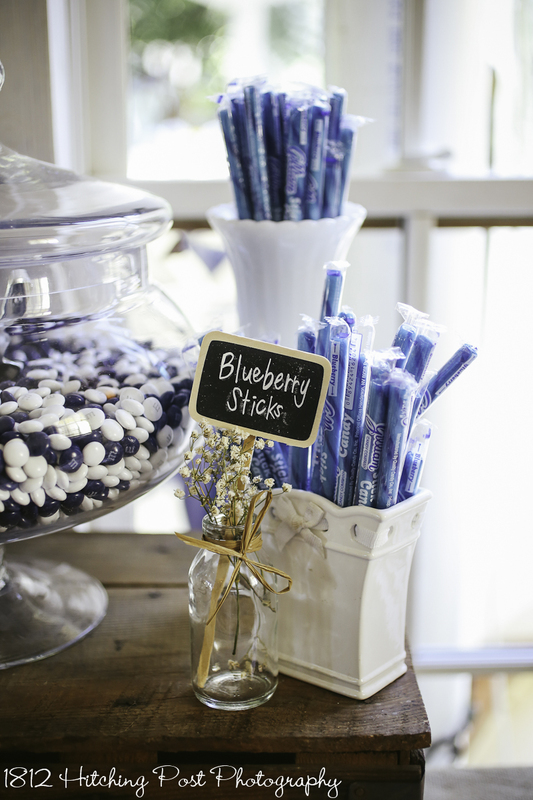 Throughout the reception, there were cute personal rustic touches. 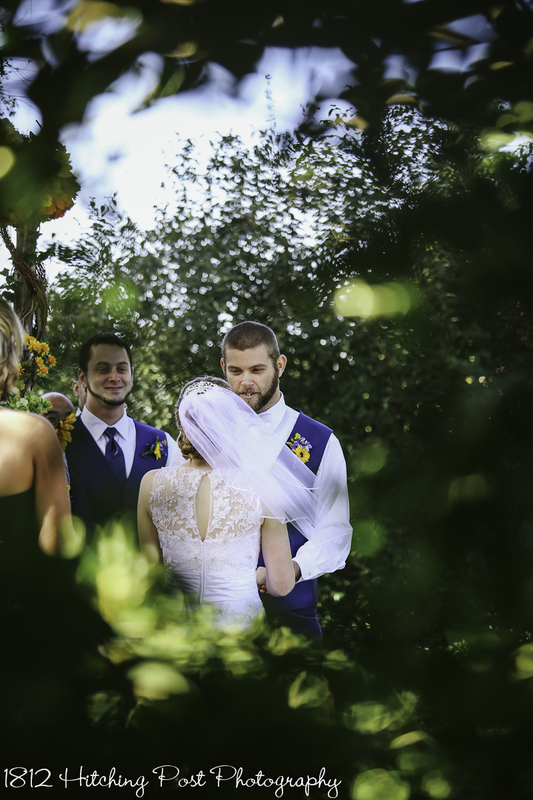 View some of them in the photos, below. 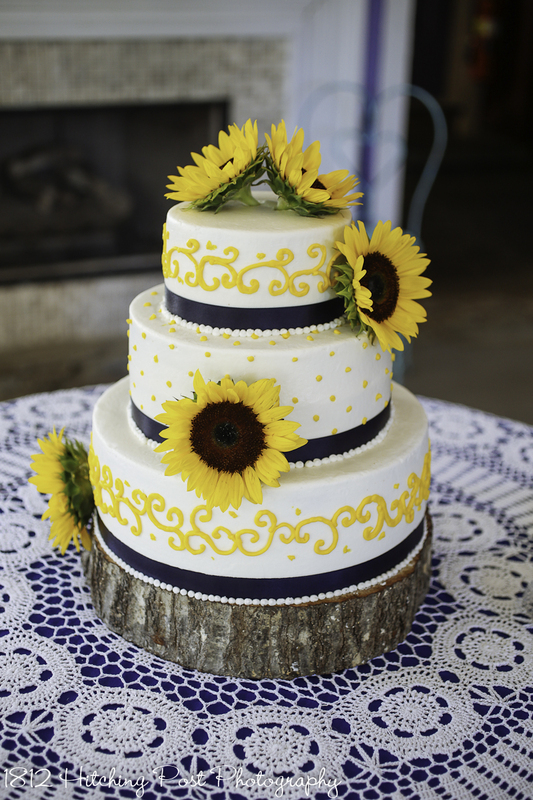 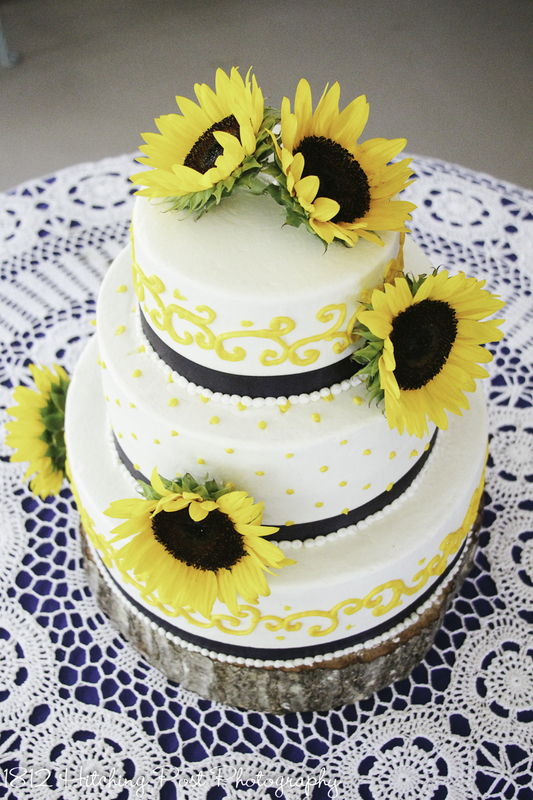 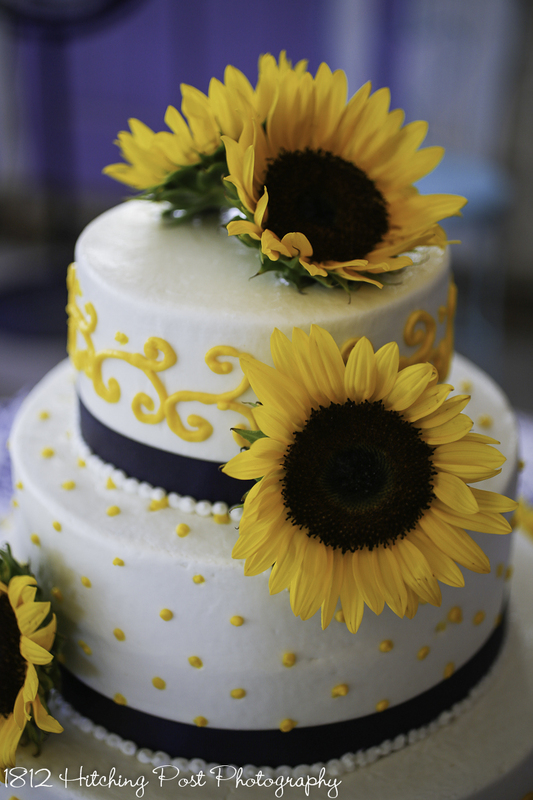 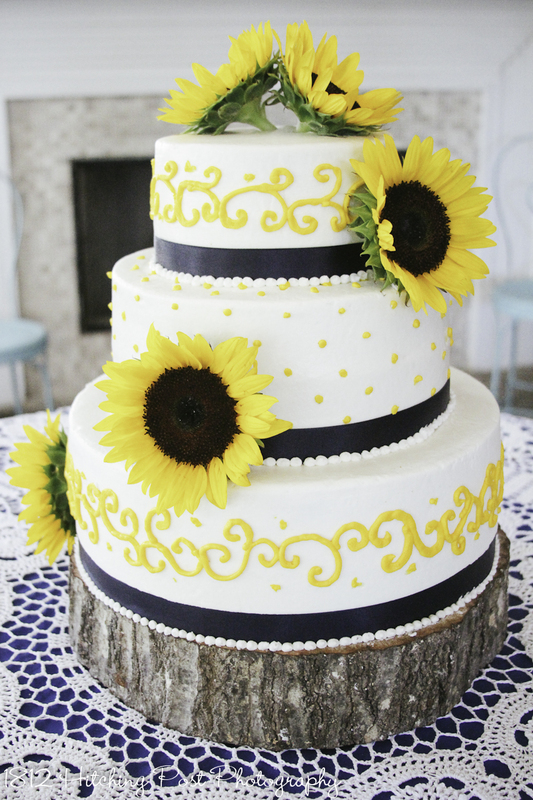 The cake was so adorable with yellow piping, navy ribbon, and sunflowers. 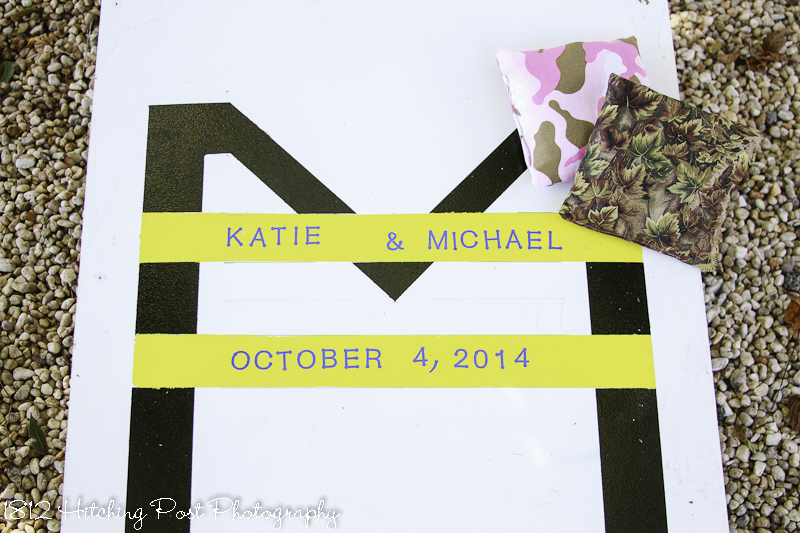 The couple brought outdoor games for their guests including corn hole. 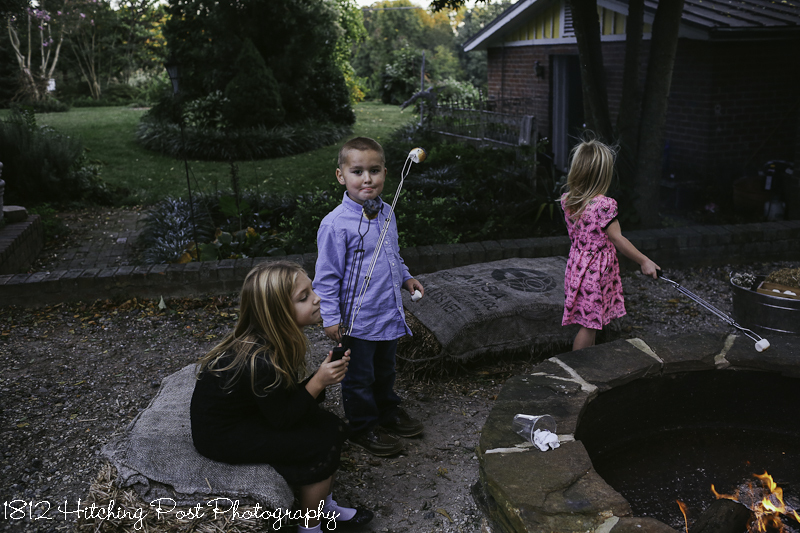 S’more’s and a candy bar added even more fun to the party! 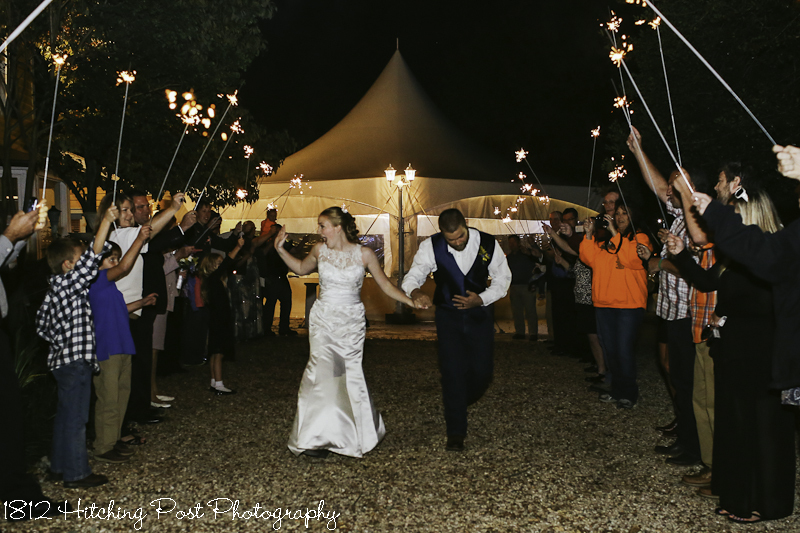 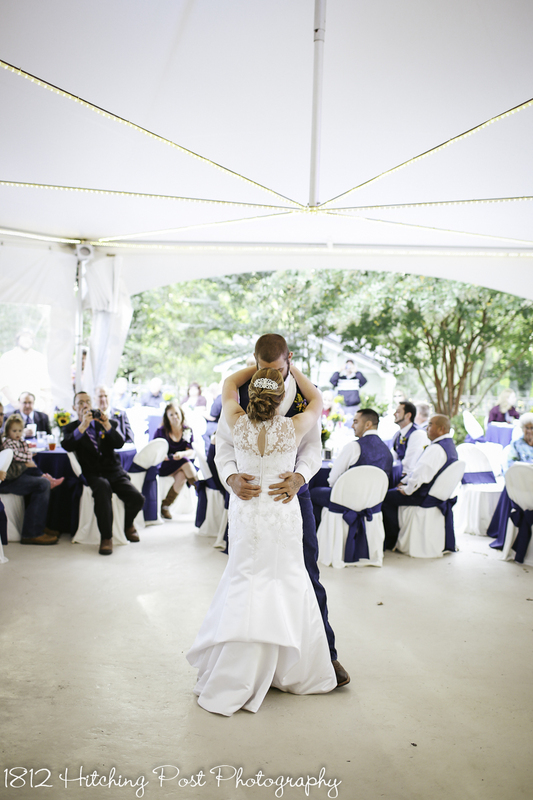 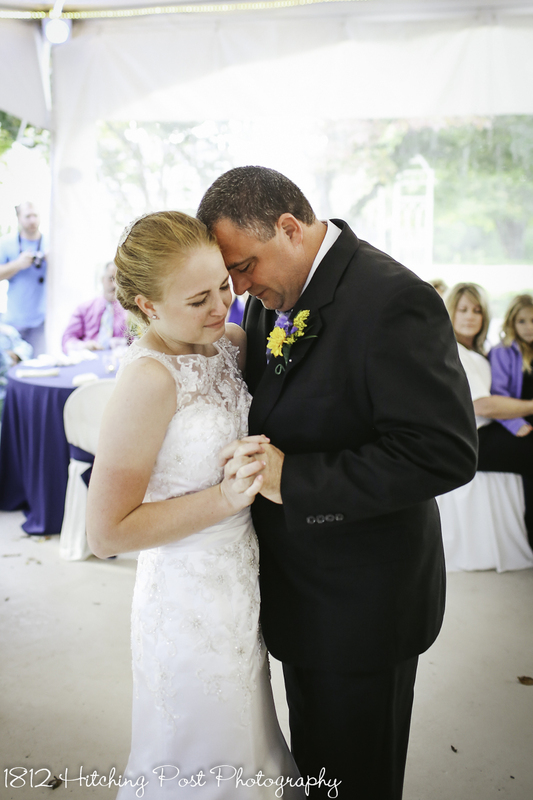 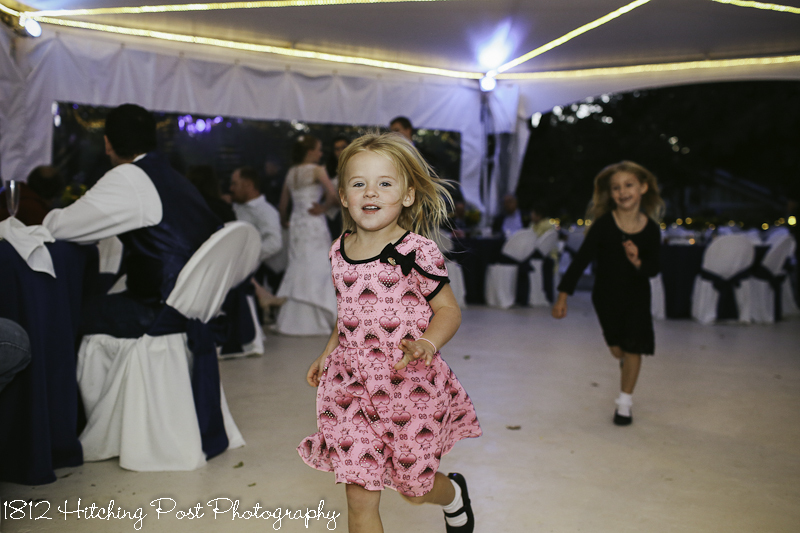 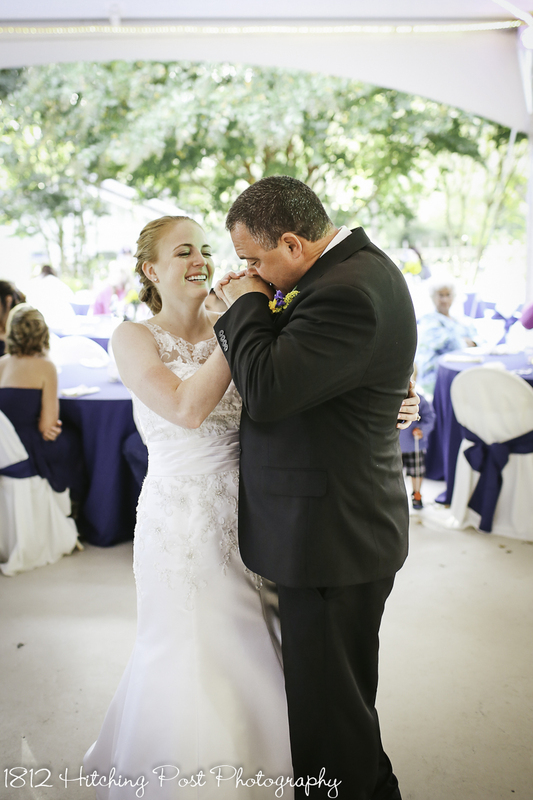 It was an emotional wedding especially when the bride walked down the aisle and during the father/daughter dance. 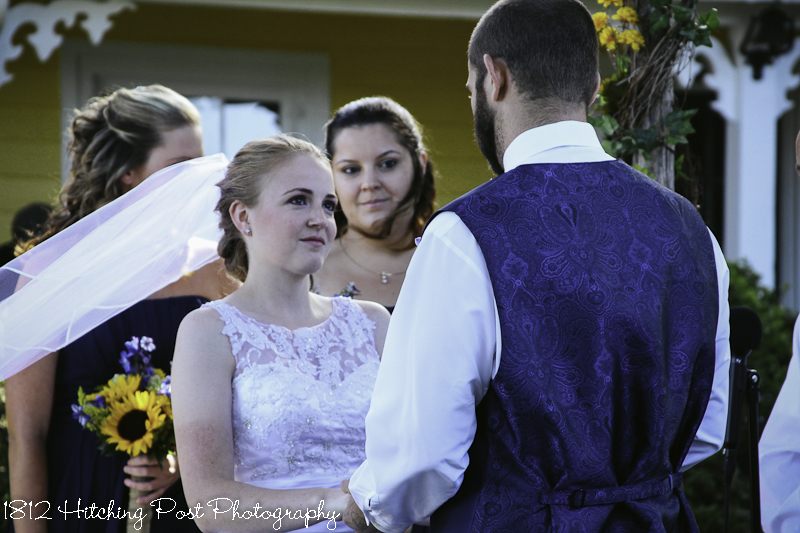 Everyone was crying! 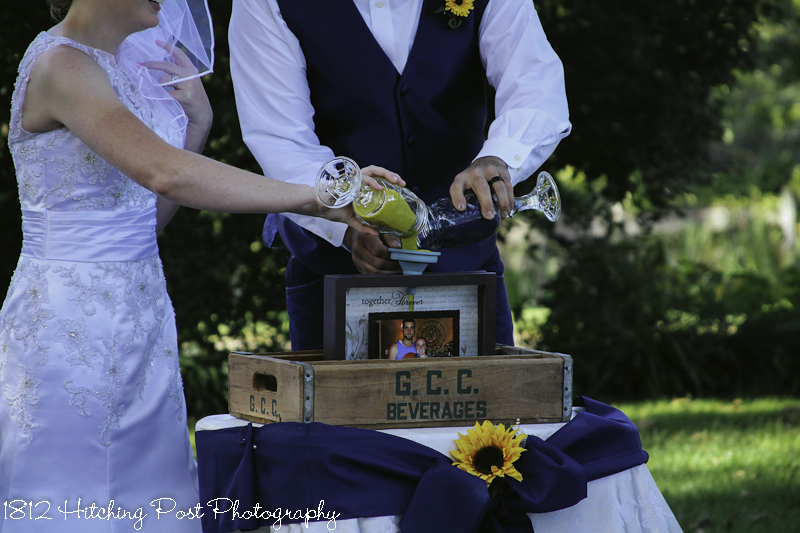 Photography by Taylor Gregory and Jordan Austin. 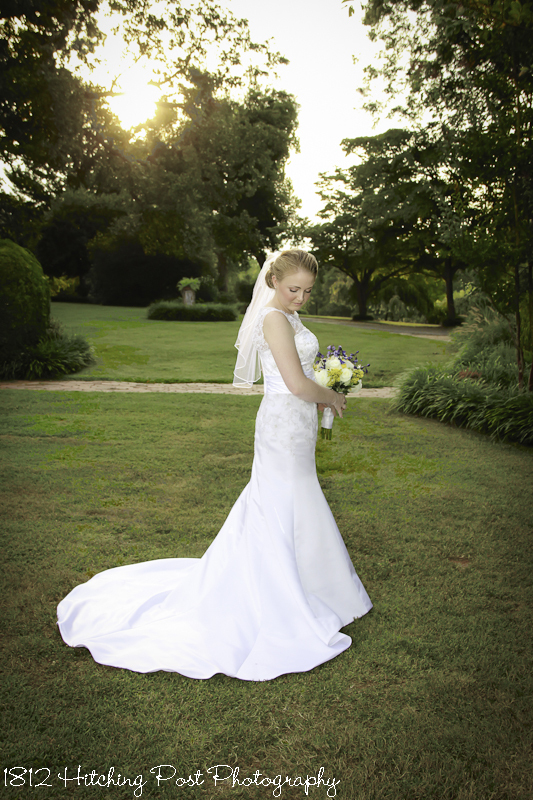 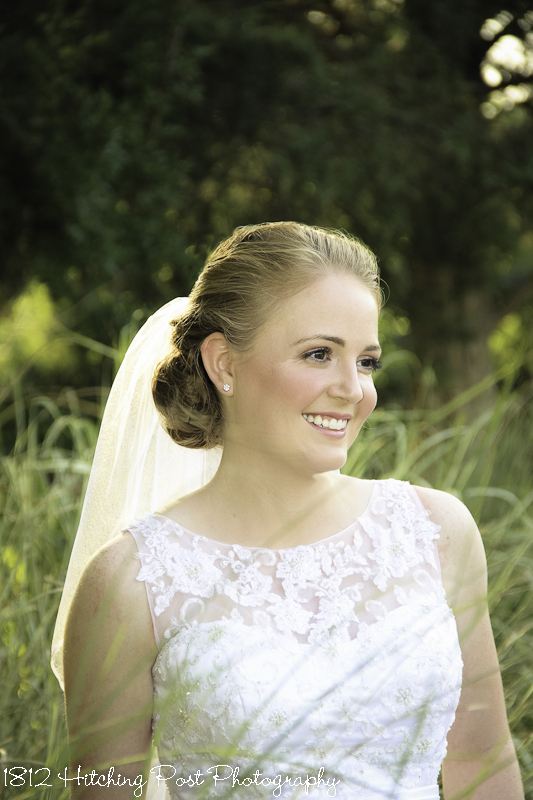 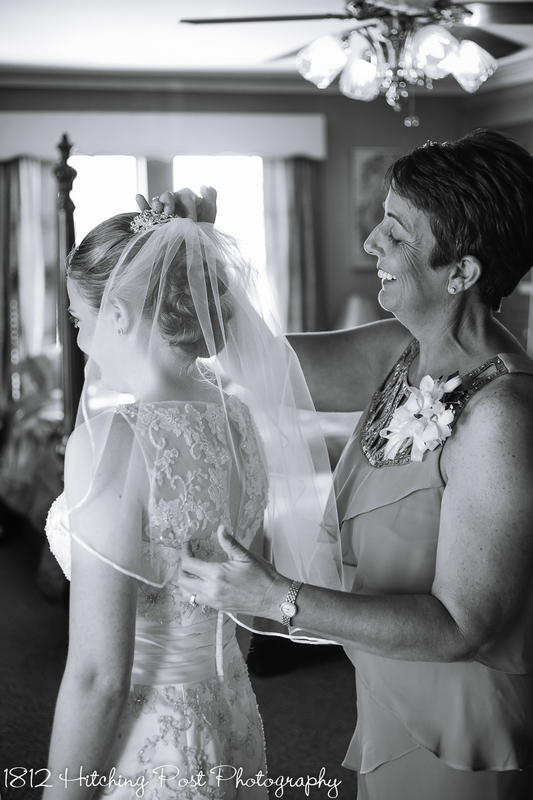 Bridal portraits by Wendy Waldron.